A leading academic has warned that today’s children are suffering from a “nature deficit”, deprived of the freedom to run around and play outside. Dame Fiona Reynolds, Master of Emmanuel College at Cambridge University, told an audience at the Hay Festival that children who are currently growing up shielded from the harsher realities of the world – so-called “Generation Snowflake” – have less space to run around than free range hens. 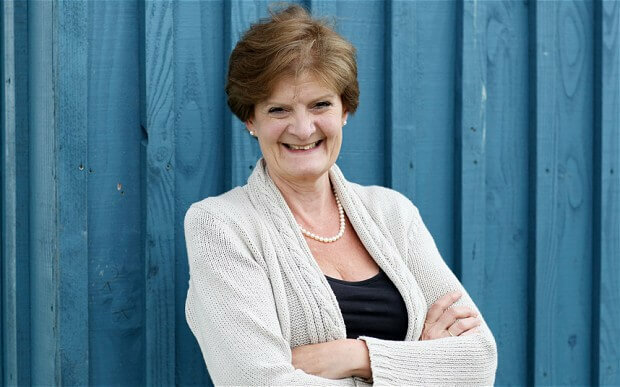 Dame Fiona, a former director general of the National Trust, said one of the most successful campaigns run by the organisation was ‘50 things to do before you are 11 and three quarters’ which offered parents ideas for taking their children outside. She added that children now spend on average six to seven hours a day in front of gadgets, and a third of youngsters are overweight because they do not play outside. Dame Fiona, who has three adult daughters, also criticised politicians for focusing too heavily on economic indicators as a measure of the country’s success, rather than well-being or the environment. Her comments echoed those made earlier in the week by TV presenter Kate Humble, who warned that parents are too worried about having the social services called on them to allow their children to play outdoors.